Souledout.org's Meditation Focus theme for 2018 continues for this Leo full moon cycle. 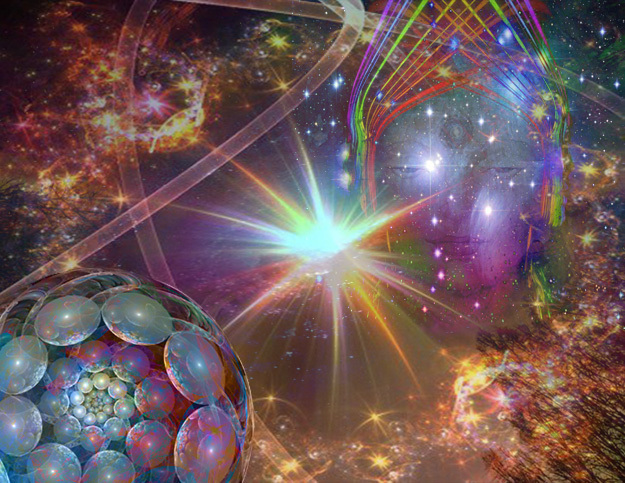 On our annual journey, we're exploring Cosmic Freedom Inaugurates Planetary Liberation. For this year's spring festival season we attuned to the inflow of energies through the spiritual realm, and aligned with this focus. Last month during Cancer, this recent inflow has been further assmilated. Now as we continue through the Leo cycle, we endeavor to work with the recently incoming impressions and to integrate them into our service ~ both on the inner planes and in the world of expression. With this full moon during the sign Leo occurring on July 27, Cycles and Rhythms are synchronized throughout the One Life we all Share. We observe this cosmic event, taking place essentially on the inner planes, as we are seize this opportunity to fully connect with extraplanetary energies and to strengthen our group alignment within the greater evolutionary context. For the 2018 Sirius~Leo Cosmic Festival, we shall continue with this invocative mantram, applied since the spring equinox of 2014. The Leo cycle offers an opportunity for spiritual approach that is of great importance and significance. Throughout the month, may we prepare for and serve in this dynamic event, as it demonstrates on the planet. Presently we're able to synchronize with Cosmic cycles ~ "The Eternal Rhythm of the Ages". From that perspective, we affirm the Cosmic Oneness that interpenetrates all. Our ability to align with this altogether unified point of view then orchestrates the interrelationships of our service, all the way "down" to physical plane expression. At this full moon festival, in our attunement to the Light of Leo ~ the Light of the Soul ~ we unite in group formation to invoke the Avatar of Synthesis and the reappearance of the Christ, both of whom are prognosticated to respond to the united appeal of Humanity and the Hierarchy. As aspirants and disciples, in present time we consciously realign with the Divine Plan ~ the unfolding Purpose of the One Life. Through our alignment with the Principle of Decision, we may become ever more steady in our service expression. Calling upon the available Will during the Leo cycle, there is opportunity for Clarity leading to Freedom and Liberation as we determine to overcome all that dilutes our shared experience of the One Life. We embrace the vast significance of our relationship to Love ~ Individual, Planetary and Cosmic. Where the Earth becomes a magnetic center ~ a station of light, a point of great radiance and vitality ~ beaming out into the universe! For this annual cycle we share now in ever higher Alignment to Purpose for our Service. As each individual unit takes responsibility for applying their highest dedication to Purpose, one's life becomes the Path, itself. We may look to the Cosmic Path of Higher Evolution to further understand our relationship to the Life More Abundant. The revealed quality of Synthesis relates largely to the Life aspect, that which enlivens all forms. Synthesis is. (4) This is so, in accordance with the Essential Divinity of all life. Recognizing this vast truth, we are called to surrender ~ to be the Divine Path through the sacrifice of all that is extraneous. Becoming the Path itself refers to our construction of the connecting channel between the outer, concrete world and the inner planes of the abstract ideal, (5) linking us to the larger, cosmic perspective. This is an outgrowth of the ongoing sacrifice we make in service to the One. For our Sirius~Leo Festival experience, we now consecrate ourselves to the most high aspect within the Self. We seek and find the light of Leo ~ the Light of the Soul ~ and doing so, we assist in preparing Humanity to become one with this light. This is our present Path ~ identified as the Light, we become the Way. At the recent Gemini Festival of the Christ, we accessed heightened opportunity to align with the Enlightened Ones ~ the Spiritual Hierarchy who guide our planet, help us evolve, and embody and express the Love~Wisdom aspect of Divine Purpose. 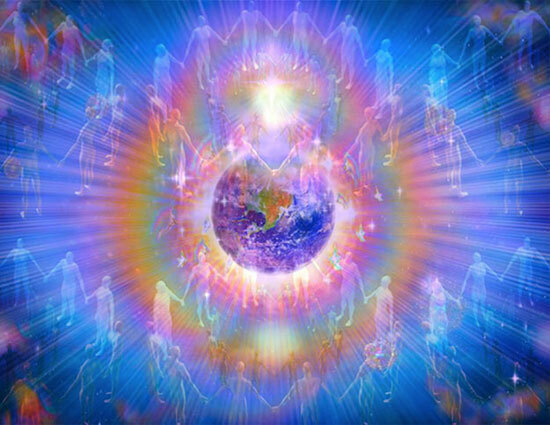 In that we, as the worldwide group, have envisioned a grid of light over all the Earth that connects the light of every Lightworker and each sacred energy vortex, together we form the esoteric Chalice ~ the Holy Grail prepared to assist in the grounding of spiritual energies on behalf of the One Life. Each year during July and August, as the Sun traverses the area of the zodiac held by the constellations Cancer and Leo, Earth's closest and overall brightest star Sirius rises with the Sun in the east, and is hidden from view by the Sun's daytime light. In this, the energies from the Sun and of Sirius, eight light years beyond it, are blended as their light reaches Earth during this phase of the annual cycle. If possible, we suggest being in meditation at the exact time of the full moon. If you are unable to do so, choose a time within 12 hours before or after to participate in this global meditation. Know that we at SouledOut.org will also join in this planetary meditation. time 13:09, followed by a musical interlude, then The Great Invocation and bells. We link up now with people of goodwill everywhere, creating a united group channel through which the spiritual forces can become available. This alignment we make with the Spiritual Hierarchy creates a unity between humans in physical form and the Great Ones in Spirit. The Light of the Soul is sensed and embodied. We rise as One, seeking the light. In response, the great gateway of Leo swings open wide and the inflowing light pours into and through us. The beneficent Light of Leo lifts us higher, and we're bathed now also in the liberating light of the great star Sirius. We are divinely enlivened by this amazing Love. As we continue the spiritual work, we know Sirius to be an ever greater influence in our world. Our service calls us to respond to these potent cosmic vibrations. The present Sirius Festival aligns the One Heart ~ the One Soul ~ and the One Life. We sense the unique relationship of Sirius and the Earth. From Sirius, the energy of Love~Wisdom flows through our Spiritual Kingdom ~ and to us, Humanity. This Sirian energy pours through our Hierarchy and into our receptive vehicles, enabling us to tread the Path of Purification and Liberation. How shall we facilitate this great Transformation? Our method is Invocation and Evocation. The Divine Blessings come through Transmission ~ Reception ~ Absorption ~ Relation ~ and Living Activity. We now take the time to consider our method ... and each step of our process ... so we may fully comprehend and demonstrate these in our world. We let go and invite the Divine to guide our steps. This Service Expression is our Way. We are the Light that illumines the Path ahead. Sirian energies are stepped down to us. And we now step up to meet them. We seek purification in our expression. We are agents of great change. We can ~ and will ~ effectively bring the change so needed in our world. In this activity, we step ever closer to our Divine Destiny. The Sirian energy is with us, night and day. We are now becoming the Light and the Way. A reflected point of light logoic, or divine. At the new moon prior to the full moon in Leo~Aquarius, we begin aligning in preparation for the Sirius~Leo Cosmic Festival. In generating the required alignment, we invite you to consider the information synthesis offered here as meditation seeds for a month-long period. To aid in this alignment we advocate use of The Great Invocation throughout the cycle. Sirius Revealed Sirius, associated with freedom and liberation, is the brightest star in the night sky and at 8.6 light years away from Earth, the closest major star to our own solar system. Sirius is closely connected with Leo and at the potent full moon during this lunar cycle, the Sirius energies are of significant influence. The Path to Sirius The connection between the great star Sirius and the constellation Leo manifests by way of the fourth cosmic Path on the Way of Higher Evolution. Principle of Decision In approach of the spiritual Hierarchy, we may join them in application of this divine truth based on the 3 P's ~ Perception of the Plan, Participation in the Purpose, and Prevention of Evil. Principle of Freedom The Principle of Freedom and the Principle of Liberation are forged on Planet Earth by energies emanating from the great star Sirius. Because of its connection to Freedom and Liberation, Sirius assists us in invoking freedom on our planet, and bringing more of this wonderous star’s quality to life here. 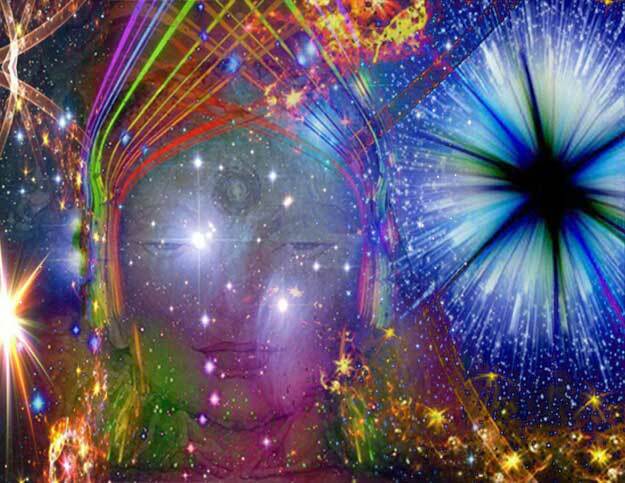 Monadic Consciousness We attune to our Monadic essence ~ "I am THAT and THAT am I." Avatars ~ Divine Embodiments This type of greater Avatar expresses the impulse behind Divine Purpose. Sirius and Initiation As we journey through space, together with the Milky Way galaxy, we travel along also with the Sirian system. The significant connection between our relatively unimportant little planet and that vast expression of Divinity ~ the Life manifesting through Sirius ~ is an organized and vital expression beyond anything humanity can vision, and is free to a completely unlimited extent, again beyond any power we can comprehend. Lunar Theme: Stepping Through the Veil ~ The Pluto Solar Eclipse & the Mars Total Lunar Eclipse "This July 13, 2018 UT New Moon lies amongst the stars of the Gemini Twins opposite Pluto ... Pluto's passage across its south node creates an especially strong resonance with Earth ... This New Moon produces a [perigee] Partial Solar Eclipse ... creating a strong lunar resonance ... eclipse path ... south of Australia ... A Total Lunar Eclipse occurs on July 27. The Full Moon conjoins retrograde Mars ... in early sidereal Capricorn ... [Eclipse] Zenith occurs just off the coast of Madagascar ... longest eclipse of the century with totality lasting for 103 minutes. Mars, close to the Moon, will be easy to see with unaided eyes ... There is a plethora of significant events occurring in this lunar cycle producing a dynamic and catalytic lunar month ... " - Nick Fiorenza gives insights to this lunar cycle, which begins July 12, 7:48 pm PDT and ends August 11, 2:58 am PDT. Learn the ancient Egyptian significance of these days. How does the 13 Moon Calendar relate to Sirius? July 25 is the "Day Out of Time." July 26 begins the "Red Cosmic Moon Year." Contact Sirius during the July 27 Full Moon Total eclipse. the Dog Days end. Sirius gets easier to see each following morning. View a transformational gateway overhead in the Leo Night Sky. Additional links These readings may be of assistance in your Sirius~Leo meditation focus. If possible, we suggest being in meditation at the exact time of the full moon. For this meditation, and as each is able to join the world group at the time of the full moon (Friday, July 27 ~ 1:20 pm PDT / 20:20 UT), it is suggested to begin meditating earlier so as to be in deep meditation at the exact time, and then continue for as long as you feel compelled. We at SouledOut.org will align for this global meditation at the Sirius~Leo full moon festival. We also encourage utilizing SouledOut.org's Global Meditation in group formation at the exact time of the full moon, and whenever possible during this festival's safeguarding cycle. Consider what is the appropriate way to join in this meditation ... you may wish to participate in group formation on the physical plane as well as on the inner planes. Whether or not you choose to be "alone" on the physical plane, know you are uniting with many others who also are attuning to the energies available at this Global festival, and that this group focus creates a powerful channel for the meditation to be potent and effective. Our Leo-themed meditation focus beginning at the new moon leads into the two days of preparation immediately preceding the full moon. These are to be dedicated to spiritual reflection and detachment from everyday concerns, as each prepares to become a vessel for the energies of light and love they will receive and channel. At this time we hold the attitude of dedication and service, and seek to assume that attitude of receptivity to that which our soul will impart which will make us of spiritual use. The day of the full moon itself is the day of safeguarding, one of inner peace and silence during which we attempt to contact and consciously hold the energies for the rest of humanity. We will not formulate for ourselves what will happen, nor will we look for results or tangible effects. Whilet one may not observe the exact moment when the moon is full, it's important to find some alternate quiet time to reflect alone or use this opportunity to meditate with others of like mind and focus. The two succeeding days are called the days of distribution. We now turn the attention outwards, away from ourselves, and our efforts are to pass on the spiritual energies that have been contacted. We assist these Divine energies, transformed into goodwill, in flowing to where there is greatest need. As you wish, feel free to continue use of this meditation for the entire month of the Leo full moon cycle. From new moon to new moon, beginning Friday, July 13 through Saturday, August 11, 2018. Leo Zodiacal Deity The Leo Full Moon occurs during the month of the Dog Star, or of Sirius, and so Sirius into close relationship with Leo. Awareness of the Leo-Sirius connection helps to build a world religion, and this is a great and unique opportunity ~ to be conscious of these cosmic energies and of the possibilities they offer humanity for spiritual evolution. Leo Labor of Hercules Hercules's great test in Leo was to slay the Nemean Lion. He did so in the cave, where the lion of the developed personality or individuality kept its lair. Before he could control the personality with the higher mind, Hercules had to close one of the cave's two openings, "As above, so below." The Law of Spiritual Approach This law is the basis for full moon work, which is a spiritual approach and a group endeavor. Through Avatars, God, the Emanator, Originator, Creator ~ whatever term we may choose in order to identify that great Source of all that exists ~ periodically makes such a dramatic Approach to humanity. The Seven Cosmic Paths "This subject is considered ... to be devoid of form and therefore incognisable to the lower concrete mind." (16) Hence it is through the practice of Living the Radiant Life that we may begin to understand the nature of Spirit, for to bring Spirit fully into our daily lives is service to the One. Fixed Cross Leo is a point on the Cross of the Soul, closely related to the second initiation, Baptism, at which the first contact with Shamballa energy is experienced. The Lunar Messenger, Leo Full Moon (PDF) Circle of Goodwill's commentary for the Leo full moon, "Vistas of Wisdom 69: Creativity"